DETAILS: If you are an aspiring Brewmaster, then this is the canvas for you. Our 18x24 beer canvas proudly displays your brewing achievements. 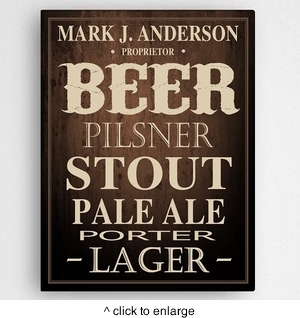 Makes a great gift for any craft beer lover or home bar. MARKETING: Home Decor, Canvas, Wall Art.